This bird is a migrant that is not usually seen in the Philippines. They are frequently seen in Hong Kong. There were two individuals seen by Richard Ruiz in Laoag in 2017. The Black Kite is bigger than the Brahminy Kite. Richard pointed out that they can be told apart at a distance in flight by looking for the big, triangle-shaped tail. This individual is the subspecies lineatus and is sometimes regarded as a separate species Black-eared Kite Milvus (m.) lineatus. 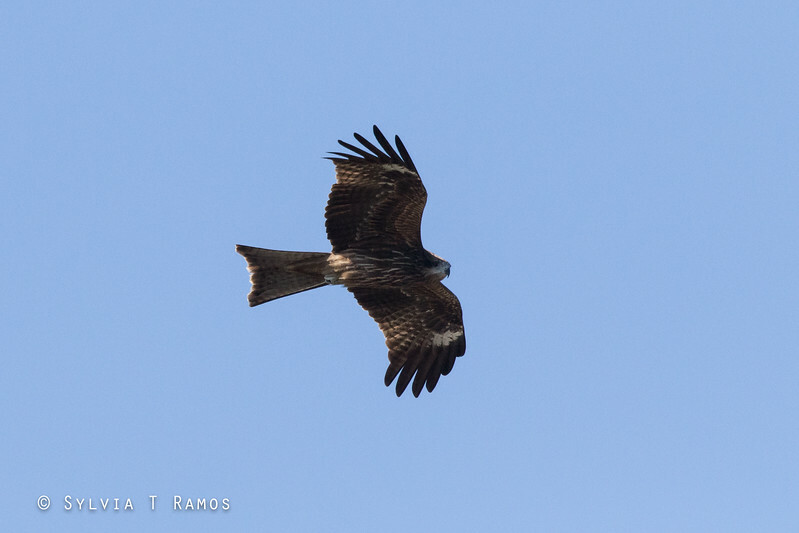 We were able to observe only one Black Kite. We saw it perched in the trees, perched on the beach, hunting, and stealing tilapia from the Brahminy Kites. We were watching it from a very comfortable, covered viewing deck overlooking the estuary.